Home » Why Has The Number of People Building 2 Storey House Designs Increased? People are always looking for more room. Whether you have a family, are single or retired, a lot of the time space is something we all want, and in the case of having kids…need. Evidently a two story home is similar to getting a floor plan and then placing another floor plan on top. In the case of two storey home builders perth Great Living Homes, you can now even turn your one story home into a two story home. Using new technology to create the 2 storey house design of your dreams and therefore allowing you to have your much loved current floor plan as the top story and creating more space underneath for those other living areas you want. Buying land is an incredible achievement and the opportunity to build your own home on it even better. When you spend less money on the land it can make the overall cost more comparable to a single storey home with the same number of bedrooms, debunking the old myth that two storey homes are more expensive. 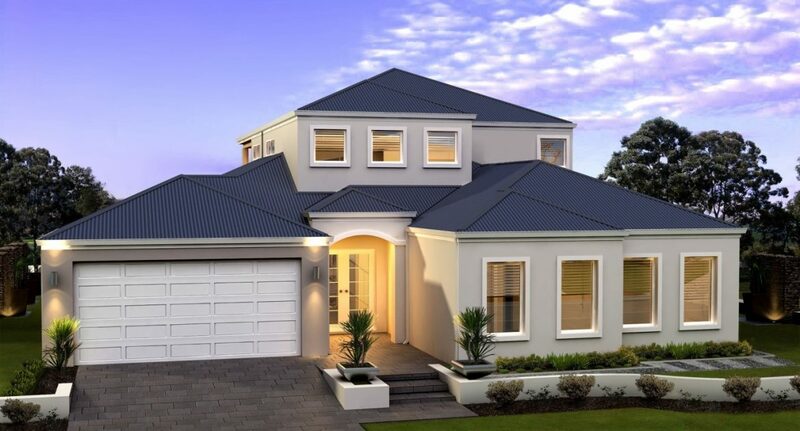 When buying land it used to be about getting a bigger block; because it allowed you to build a bigger house, but now it is possible using the right 2 storey home builders perth to build a good size two story home on a small block, and for a great price, which leads into reason number 3. To build a two story home used to seem like a big ask and most home builders mandurah would charge a lot higher for the second story. But in the past 10 years, in Perth especially, the cost of building a two story home has decreased dramatically. This reason tends a lot more to people with kids. Having your kids activities interfere with you activities in the home can be frustrating. A two story home allows you to create a floor plan in such a way that you have a number of separations in your living areas. For example, you may end up putting the kitchen and entertaining downstairs whilst your kid’s bedrooms are upstairs to avoid any disruption to sleep or what not. There are many examples, but the beauty of the two storey house design is you can decide what happens. By choosing a great home builder like Great Living Homes you really do have choice and design input. As towns and cities get busier and more people are building homes it is easy to have your once beautiful view blocked by some other large home. A two story home is a great way to avoid that happening. You can get a great view of the area that you love and enjoy sensational weather whilst sitting on a balcony with no obstruction to what you see.